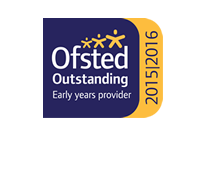 How would you like to join an “OUTSTANDING” Montessori nursery, and join a truly dedicated team of some of the most passionate teachers working in Early Years today? Our modern and expanding company are looking for high calibre Early Childhood Studies Graduates, Montessori (MCI) Teachers and NVQ3’s to work with Under 2’s, toddlers and pre-schoolers. An excellent working environment in a new well resourced nursery working with a dedicated staff team. Opportunities for further training and career development .